Bullies see some people as having less value than others. Racists see some people as having less value than others. Sexists see some people as having less value than others. Doctors see some people as having less value than others. The doctors, using what ever measuring stick they had at their disposal, decided that young Amelia’s quality and potential length of life was of lesser value than other people that could use a good kidney. The special needs community all around the world talked about Amelia’s story, signed petitions and even bombarded the hospital with angry phone calls and emails. It’s been a long 8 months since that blog post was written but Amelia will be receiving a brand new kidney from her mother. The story should end there, in triumph but sadly, it does not. 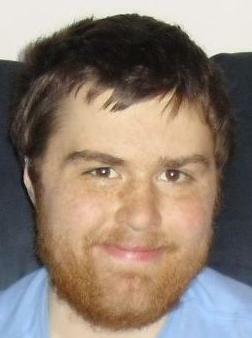 Paul Corby, a young man of 23 is going to die unless he has a heart transplant. He knows this because his father died at the age of 27 from the same condition. But doctors are telling his mom, Karen Corby, they won’t do the surgery because he has autism. Actually, they claim that they don’t know how the steroids will react in his system, how he’ll handle multiple procedures and that taking care of himself afterwards is complicated. In other words… because he has autism. Again, doctors are using an imaginary measuring stick to place a value on a human life and determining whether or not it’s worth even attempting to save. Here’s the problem with placing a value on a human life… it lessens all of humanity. It’s sad and pathetic enough when your random low life does it to further their own gains but when a well educated and respectable person that has sworn to practice medicine ethically and honestly, to save all lives, does it, it really speaks volumes to just how much of a greedy, barbaric and filthy society we’ve truly grown to become. It doesn’t matter if you see a child, a senior, a disabled person, man, woman or anything else that you perceive a person to be; a person’s a person. What you should be seeing is a life. A human life. There is no measuring stick and there is no value. It can not be measured. This would be true if there were unlimited hearts available to be donated. However, there is an incredibly low number of hearts available compared to the needs. I pity the doctors that have to make decisions like these on a daily basis. It feels wrong, but when there are only X of organs and 2x number of organ needs, half the group will die. The solution is for everybody to check that box that makes them an organ donor!